Reading and Viewing, Writing and Creating, Listening and Speaking are components of English, taught within a holistic approach. We believe that each aspect is dependent upon the others. Literacy and numeracy are integral to effective learning across the curriculum. Literacy is the ability to read, write and use written language appropriately in a range of contexts, for different purposes and to communicate with a variety of audiences. Reading and writing, when integrated with speaking, listening, viewing and critical cultural knowledge, enables a speaker, writer or reader to recognise and use language appropriate to different social purposes and situations. We endeavour to provide a rich language environment with children listening and talking, reading, writing and viewing from the first weeks at school. The students learn to read by reading and to write by writing. 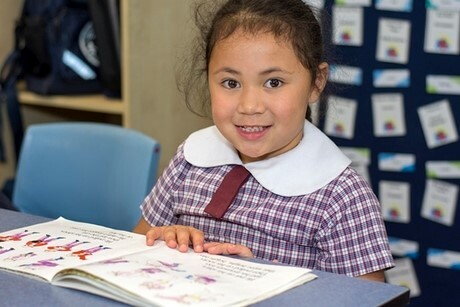 From Kindergarten to Year 6 the students participate in a Literacy Block for the first 2 hours of each day, which forms a base for the development of reading and writing.